The term hemolytic uremic syndrome (HUS) was first introduced to describe a heterogeneous group of diseases characterized by microangiopathic hemolytic anemia, thrombocytopenia, and acute renal failure. Substantial progress has been made in our understanding of the etiology and pathogenesis of HUS. This article reviews some of the classic and new concepts related to the pathogenesis of Shiga toxin (Stx)-HUS and discusses their clinical relevance for the diagnosis and treatment of this syndrome. Infection with Stx-producing bacteria can induce HUS after a prodromal illness with or without diarrhea. Stx-induced renal endothelial injury is the primary pathogenic event. However, Stx also damages mesangial cells, as well as glomerular and renal tubular epithelial cells. Young children are at greatest risk for Stx-HUS because they express high levels of Stx receptors in renal glomeruli. 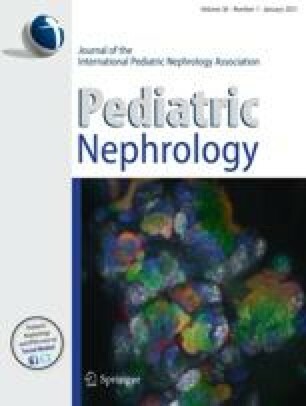 Older children and adults express lower levels of glomerular Stx receptors and may develop Stx-HUS whenever the combined effects of lipopolysaccharide and cytokines upregulate the expression of Stx receptors and sensitize glomerular endothelial cells to Stx-induced injury, activate the coagulation-fibrinolytic system, and induce endothelial injury. Chemokine receptors and cytokines released by inflammatory cells (i.e., monocyte chemoattractant protein-1, interleukin-6, interleukin-8,) or injured endothelial cells (i.e., basic fibrobast growth factor) may play roles in this process. Measurement of the activity of a von Willebrand factor protease in plasma may help distinguish patients with thrombotic thrombocytopenic purpura from those with Stx-HUS.